Light up your Life at the Pingxi Sky Lantern & the Taiwan Lantern Festival! 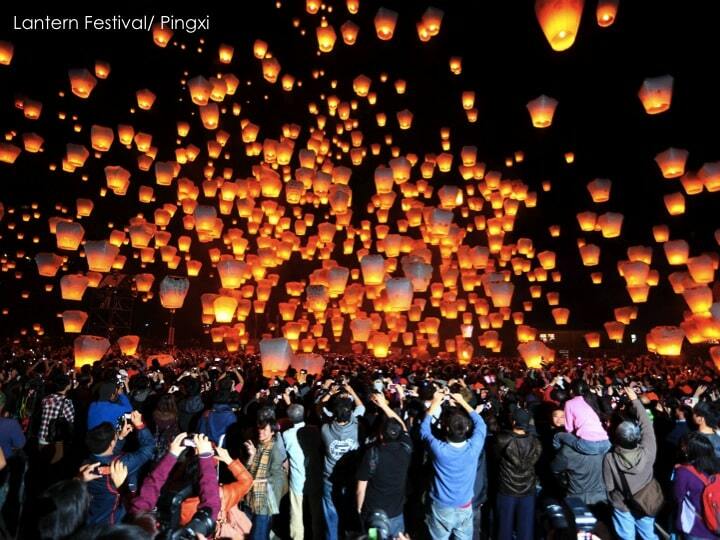 Light up your Life at the Taiwan Lantern Festival and the Pingxi Sky Lantern Festival! If there is one festival that I simply have to experience in my life, then the Taiwan Lantern Festival together with the Pingxi Sky Lantern Festival is it! A festival that is based on lights, lanterns and loads of firecrackers! This Lantern Festival is actually one of Taiwan’s tourism highlights and happens to be on the bucket list for many international travellers around the globe. Have you ever been to a lantern festival, or have you ever wished upon releasing a sky lantern into the dark starry night? I absolutely love the magic that comes from these incredible light displays. Yes, it is magical and so much so that it is worth travelling to the other side of the world to, in order to experience one. We have seen quite a few lantern displays; some private and some for the masses; however not of them have been like this. The Taiwan Lantern Festival is high on our bucket list as well! When we get around to travelling to Taiwan, I will definitely ensure that our visit coincides with both Yuan Xiao Jie as well the sister Ping Xi sky lantern festival. What is the Taiwan Lantern Festival About? Ok, so let me tell you a little bit about this famous tourist attraction. The Taiwan Lantern Festival is also known as ‘Yuan Xiao Jie’. It is one of the more spectacular of the festivals in Taiwan and celebrates the end of the Lunar New Year. 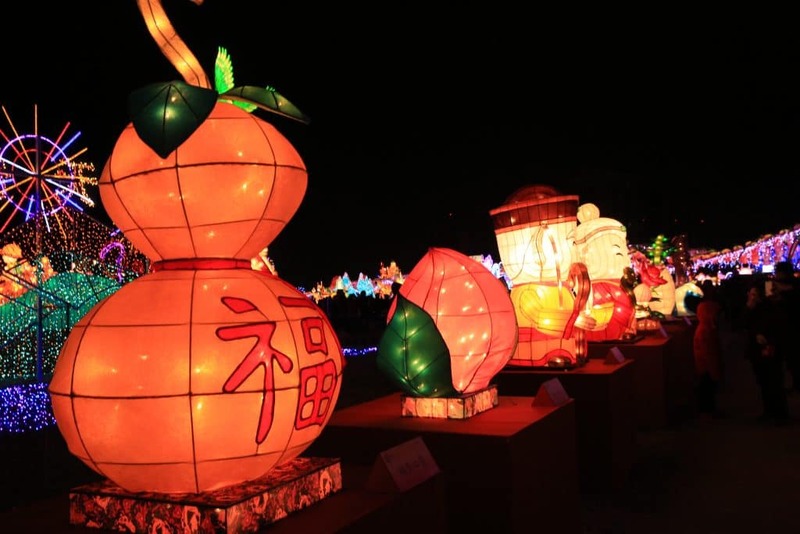 This festival is centred around festivities such as lantern making, lantern riddle games, light shows, lantern parades……together with a beautiful display of decorative lanterns. 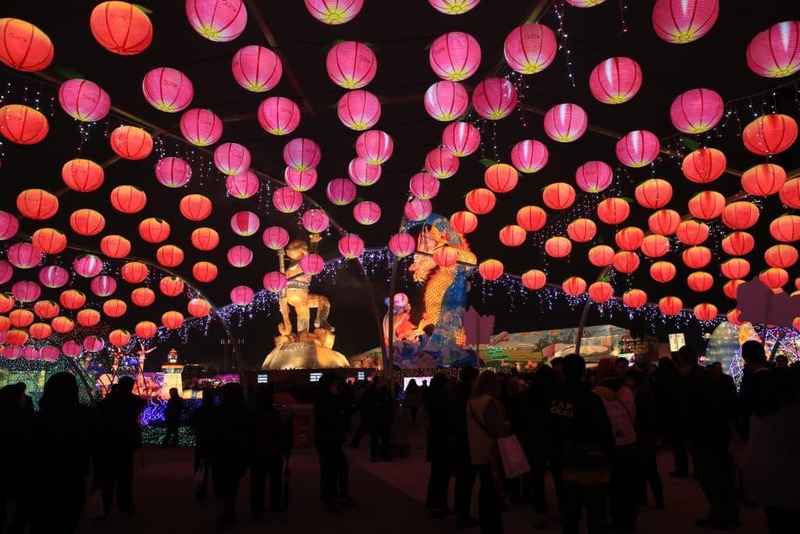 Now, if that doesn’t attract you by itself, then you should close this page and read our next post of “10 reasons why you should’ve seen the lantern festival!”. Haha… OK, just joking! Please stay and read on. Yuan Xiao Jie has got it all. Magic show of lights will put a smile on the grumpiest of faces. And for those with a curious appetite for Taiwan cuisine; like us; you can enjoy and indulge in the traditional festival food. Among all the goodies on offer you will find: tangyuan (also called yuansiao), which are rice dumplings with either a sweet or savoury stuffing. I want to give it a try, how about you?! What do you have to look forward to for the next year (2017)? Yes!! It is the Year of the Rooster. I think this will be quite an extraordinary spectacle and definitely a must see! So make sure to scout out the gigantic main rooster lantern in the Yunlin County. Where will the Lantern Festival be held in 2017? 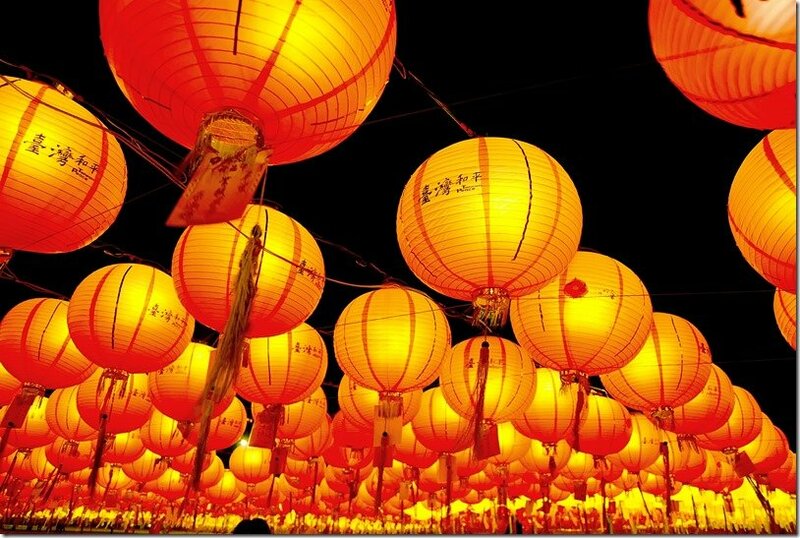 The Lantern Festival is held in different geographical locations each and every year. 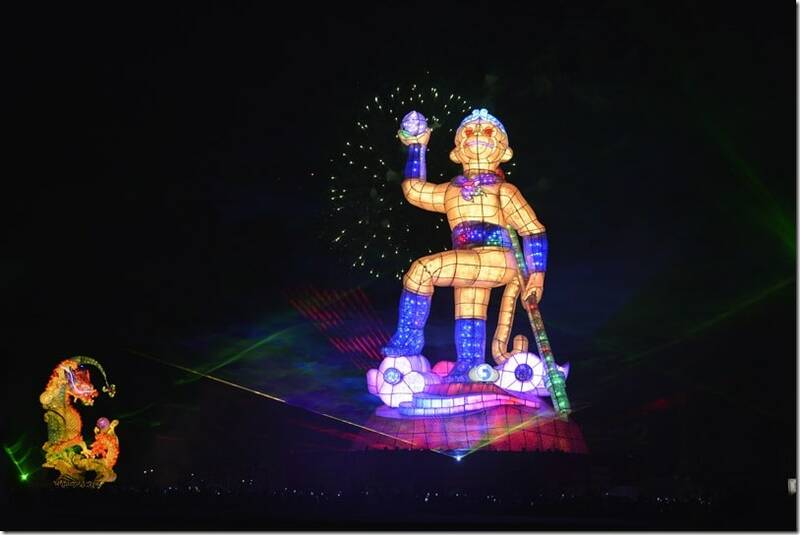 In 1017, the festival will be held in the Yunlin County. When is the Lantern Festival? The Taiwan Lantern Festival is celebrated on the first full moon of the Chinese New Year. In 2017, the Taiwan Lantern Festival starts from February 11th to 19th. Remember we were talking about lanterns floating into the sky? Yes! Pingxi lantern festival is all about releasing the lantern creations into the night sky; illuminating the night with millions of new lights! Yes, millions. The whole of Taiwan celebrates the Pingxi Sky Lantern Festival bringing the whole country together in unity and festivities. This festival runs concurrently with the main Lantern Festival, so if you are unable to make it to the Yunlin County, you will still be able to spend some quality lantern gazing in other areas of Taiwan. In Ping Xi, you will be a witness to hundreds and thousands of glowing floating sky lanterns being released at the same time. Now, this is something that you cannot miss out on! Imagine being a part of something so spectacular! 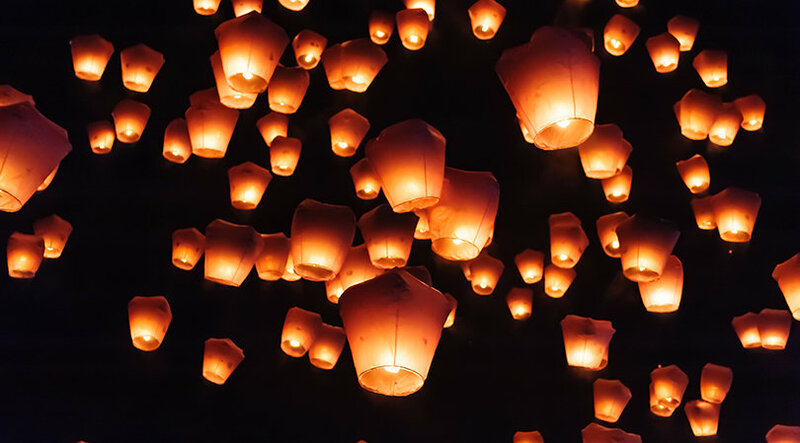 The Ping Xi Sky Lantern Festival is such an amazing festive destination that it made it to the list of 10 Best Winter Trips released by National Geographic. This one is definitely on our bucket list! What a wonderful place to be. Must be a truly incredible sensation to be amongst the people; letting go of your lanterns; making wishes and with the biggest smile on your face observing a sea of light floating up and illuminating the dark sky. Sounds amazing? This night will definitely be engraved in your heart forever! What do you have to look forward to for 2017? 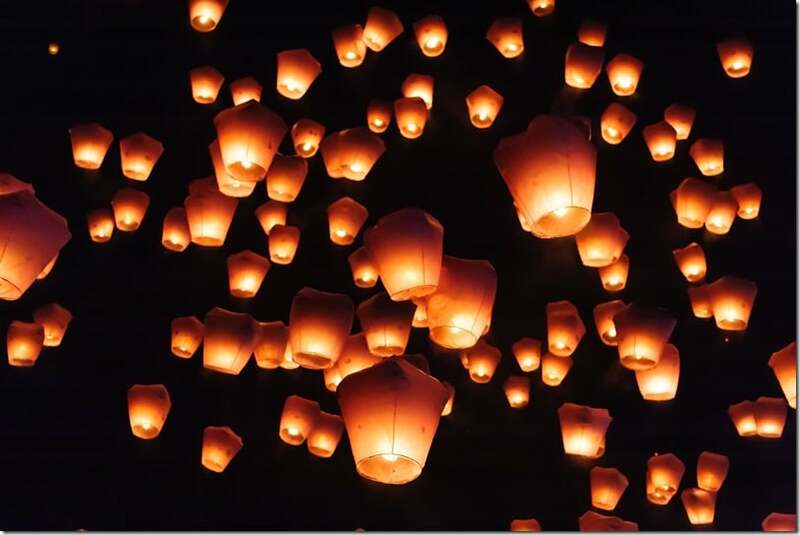 Why not join in with the Taiwanese and share in this stunning celebration by releasing a floating lantern into the sky. Watch the magic unfold right in front of your eyes, whilst thousands of lanterns make their way to join the stars. 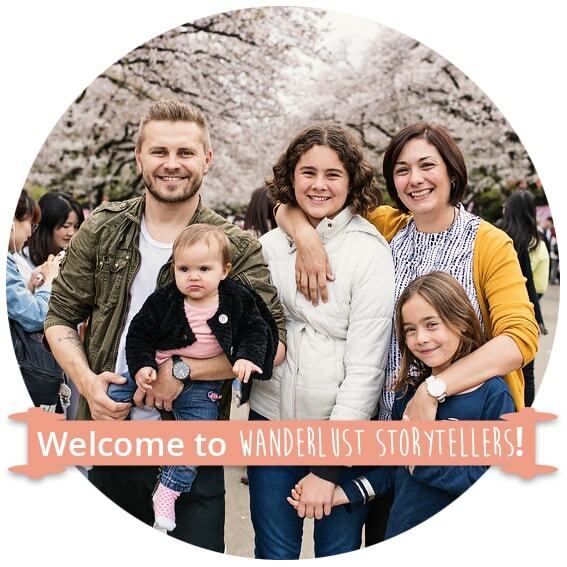 There a numerous amazing festivals around the world, but lantern festivals has got to be one of the world’s most amazing ones. You simply cannot miss out on an event such as this! Here you will fill your life with light! Here, together with releasing an illuminated lantern into the starry sky, you will let go of your worries and your stresses of everyday life. Here you will find a true meaning of unity, love for all with a power of light! See you all there! Disclaimer: This post was sponsored by the Taiwan Tourism Bureau. All photos have been provided by the Taiwan Tourism Bureau. Love the Blogpost! I will arrive on 11th February in the afternoon in Taipei, and I really want to see the release of lanterns into the sky! However, I will probably not be able to on the night of the 11th. I am very confused by the dates. I have done research and often read that lanterns will go up on 11th, but I have also read (like in your post) that the festival is from 11th-19th February. Are there lanterns going up every night during this time?